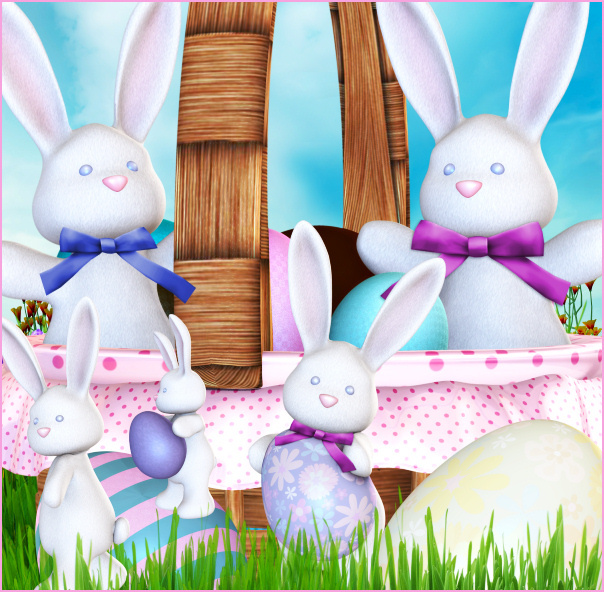 Fill your designs with Easter joy–bunny style. 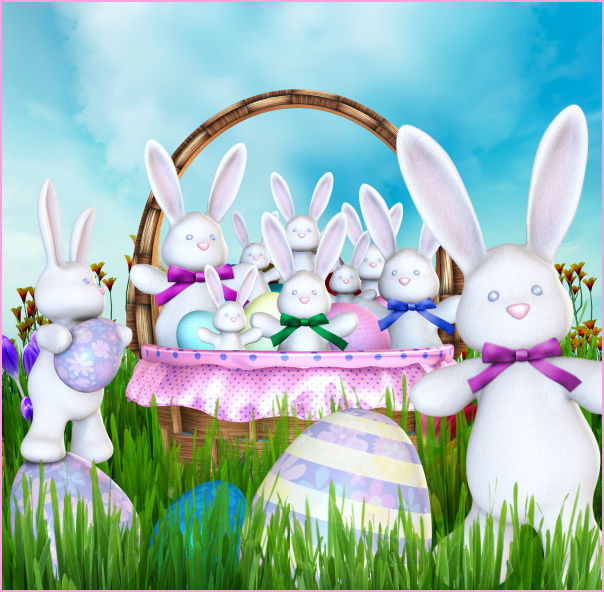 Lots of adorable bunnies and eggs to fill your Easter basket with. 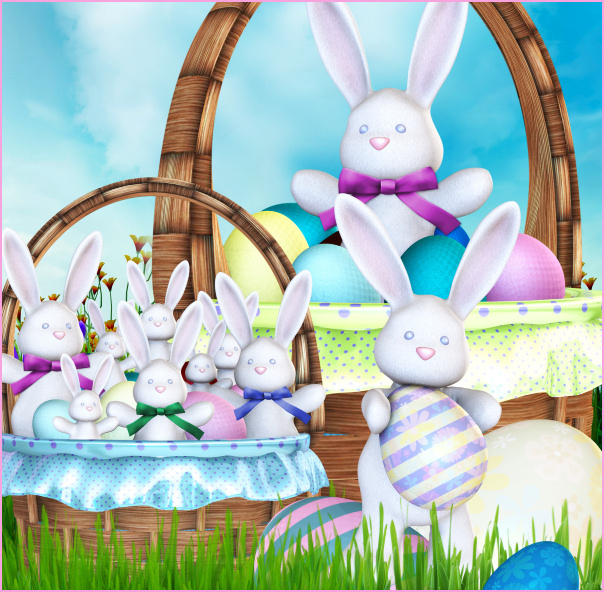 Bunnines, bunnies, and more bunnies–and baskets. Bunny Basket Tubes, a bunch of adorable Easter bunnies, some in baskets, some separate. You can build a bunny brigade with these cute little rabbits. Several decorated eggs are included to help you hatch the perfect Easter scene. There are enough Easter elements here that you can adorn your spring or holiday project to your delight. There are 36 royalty free, high-quality clip art PNG images included in this package. All of these graphics have transparent backgrounds (except for the background tiles) making it easy for you to use them as tubes or nozzles–or merely to drop into your design. The size of these images varies. All are 300 DPI, making them great for print projects. Members can use the tubes for personal or commercial projects, including web design, template design, graphic design, t-shirt design, candy wrappers, scrapbooks, and for signature tags, but please read my terms to learn more. If you have any questions, pleaseemail me. This package is approximately 75 MB.